Win with Iba South Africa!! IBA Cares: South Africa’s First Vegan and Halal cosmetic brand launches in Durban and is set for expansion across Africa. Mauli Teli is the smart,suave, CEO is the mastermind behind first halal-certified, vegan cosmetic brand, Iba. It all started when two sisters, Mauli Teli and Grishma Teli, who worked in US as professionals in management consulting and biotech research & development respectively, quit their jobs and moved back to their hometown with a dream to start a cosmetics and personal care company focused on developing, manufacturing and marketing eco-ethical products that would address unmet consumer needs. All Iba products are rooted in the age old and proven science of Halal to deliver effective results while being pure and safe. Iba products are never tested on animals and products are free of any animal derived ingredients and hence suitable for consumption by vegetarians as well as vegans. The exciting news is that Iba products will soon be available at the Iba concept stores earmarked for large retail shopping centres and will also be distributed by many of the South African retail outlets. For those that can’t wait to get their hands on the product range, you will soon be able to purchase them online from www.ibacares.com. Iba will officially be distributed and wholesaled by SBuys, which consists of over 400 pharmacies within South Africa. “It is amazing how society is conscious of what ingredients go into the foods they consume, how many of us have looked at the back of a bottle of Shampoo, Lotion or any of our personal care products, If we did we would see technical words for Pigs, Cow or Sheep Fats, chemicals such as Parabens and Sulfates.” said Pramod. The entire range of products will soon be available in Nigeria, Morocco, Egypt, Mauritius, Tunisia, Ethiopia, Kenya + East Africa, Algeria.apart from Europe, America’s and across the equater in Australia and New Zealand territory. The launch of Iba Halal cosmetics is the result of almost 2 years of ideation, research, market understanding and product development. While the word ‘Halal’ may have a limited understanding in the minds of consumers at present, the world is rapidly becoming aware of its true meaning and its appeal as a symbol of purity, integrity and authenticity. Halal is a way of life and not just about food. It extends to the way one lives, does business, behaves and even to personal care products. The team discovered that not known to many were the myriad of non-halal ingredients such as pig fat, other animal derived ingredients such as lanolin, keratin, gelatin, as well as alcohol, and harsh chemicals like sulfates and parabens that go into many popular brand cosmetics available in the market. Often the absence of an alternative restricts usage or consumers use such products selectively. Hence the launch of Iba Halal Care. 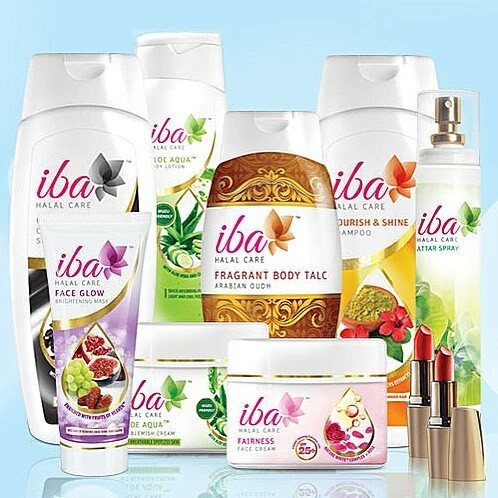 Today, Iba is the first and only Halal certified cosmetics brand with a wide range of over 83 products including creams and lotions, face washes, shampoos, conditioners, hair oil, color cosmetics such as lipsticks and kajal, and exotic fragrances, each one carefully developed and manufactured to assure purity, safety and efficacy. “I moved back to India in 2011 after studying and working in the US for seven-and-a-half years. I have a technical background and was into management consulting. My sister had studied biotechnology in the UK. Both of us have always wanted to start something on our own…that we come from a family of entrepreneurs helped a lot,” Mauli said. “Since I had worked with (market research agency) AC Nielson, I knew that the field of personal care was very competitive and in order to succeed we had to make a unique proposition. In the US, natural, ethical products are much sought after and we found that halal cosmetics was a niche field that could be explored,” she said. “Actually, 35 percent of our consumers are non-Muslims, and the interest is increasing,” Mauli said. They have the same look and feel like any other modern cosmetic product with no side effects, she adds. Iba will officially be distributed and wholesaled by SBuys, which consists of over 400 pharmacies within South Africa. South Africa, get ready for a new, ethical personal cosmetic range that will change the way you look at beauty care forever!! National Braai Day is Almost Here!